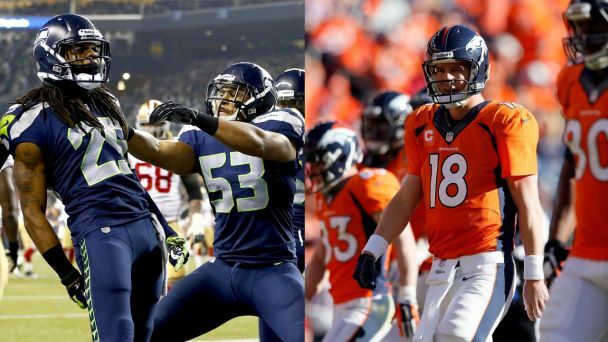 The Seattle Seahawks beat the Denver Broncos 43-8 last night in Super Bowl XLVIII (aka 48). On paper, it was an excellent matchup, the best defense (Seattle) vs. the best offense (Denver), young Seahawks quarterback Russell Wilson vs. golden oldie Peyton Manning of the Broncos (on a side note, Wilson was nine years old when Manning started his first NFL game. Weird.) . But it’s safe to say football’s biggest game didn’t turn out the way anyone thought, from the shocking first play to the Seahawks’ 22-point lead at halftime. Even the commercials were a bit anticlimactic, since most of them leaked online the week before. Here are my highlights from the long night. For a complete play-by-play click here.